American and French producers are joining forces to revisit ‘Le Brio’, a motion picture that was released in 2017. The British actress Letitia Wright will be the main protagonist of the movie produced by John Legend. The hit ‘Le Brio’, helmed by Yvan Attal, is making its way to Hollywood. 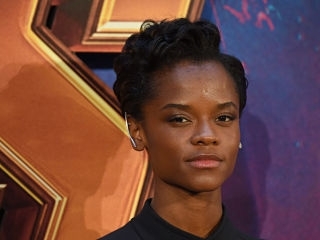 Indeed, the movie is currently in development with Letitia Wright as executive producer. She is also set to star. The original storyline revolved around a young woman studying to become a lawyer. However, at university, she meets a difficult professor who ends up helping her. The acclaimed musician John Legend is reportedly producing the upcoming movie ‘Le Brio’. Indeed, his banner, Get Lifted Film Company, will be collaborating with the producer of the original flick, Dimitri Rassam. The artist is quite known in the industry for having won an Academy Award for co-writing a song for ‘Selma’ titled ‘Glory’. Achieving international recognition thanks to her portrayal of Shuri, Letitia Wright has featured in a few blockbusters. She took part in the Marvel Cinematic Universe and appeared in ‘Black Panther’ and ‘Avengers: Infinity War’. Furthermore, she played Reb in ‘Ready Player One’, the recent Steven Spielberg blockbuster. Aside from an American remake of ‘Le Brio’, Dimitri Rassam is also working on an Italian and a German one. The upcoming flick starring Letitia Wright is projected to start production next year.